The Auckland University Press’s latest is the most ambitious that we have seen from the publisher: a two-volume work on Allen Curnow (1911–2001), New Zealand’s greatest poet. 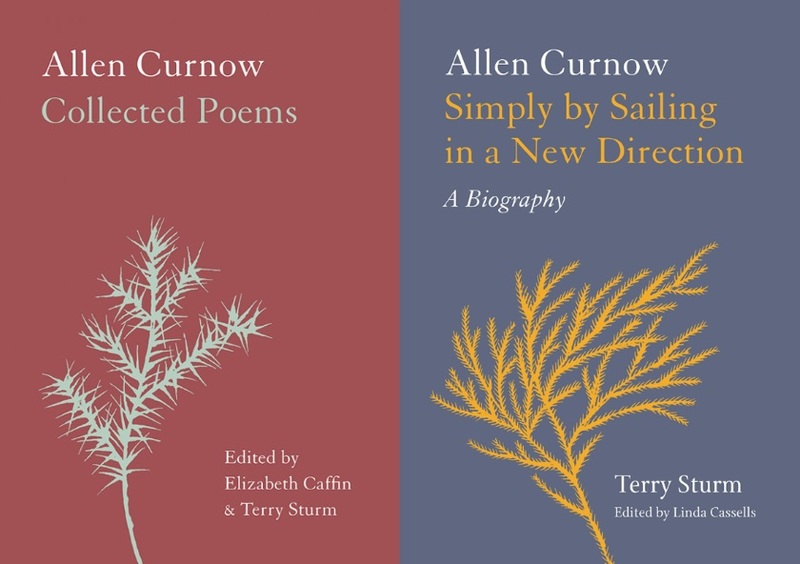 Allen Curnow: Collected Poems, edited by Elizabeth Caffin and Prof Terry Sturm, CBE, is a beautiful collection of works from Curnow, in a 388 pp. 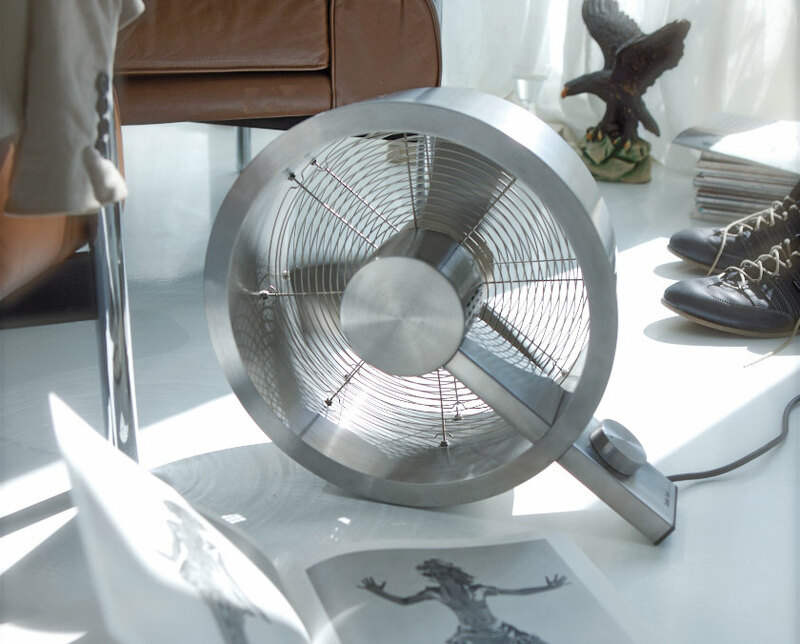 volume with minute attention to detail as a tribute to the poet. The endpaper design is by his first wife Betty Curnow, commissioned by Denis Glover of the Caxton Press for his book of poems published in 1945; Katrina Duncan has designed it sensitively with proper use of Adobe Caslon with small-cap subheads, Sarah Maxey’s jacket design is restrained and elegant. The content itself is comprehensive: taking Curnow’s own Collected Poems, 1933–1973, published in 1974, the work expands and includes later poems, presenting them in chronological order of first publication. 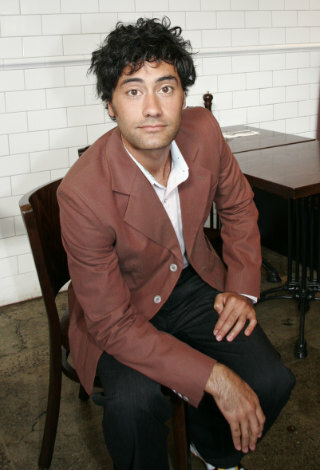 In doing so, one can chart the history of New Zealand itself, with Curnow becoming more personal and seasoned as he travelled more and developed his thoughts about his country’s identity. The poems take on a more experimental quality in later years, and his last works are reflective, the final one published in 2001. We had mentioned two volumes. The second is even more lavish: a biography on Curnow, by Sturm, and edited by Dr Linda Cassells. 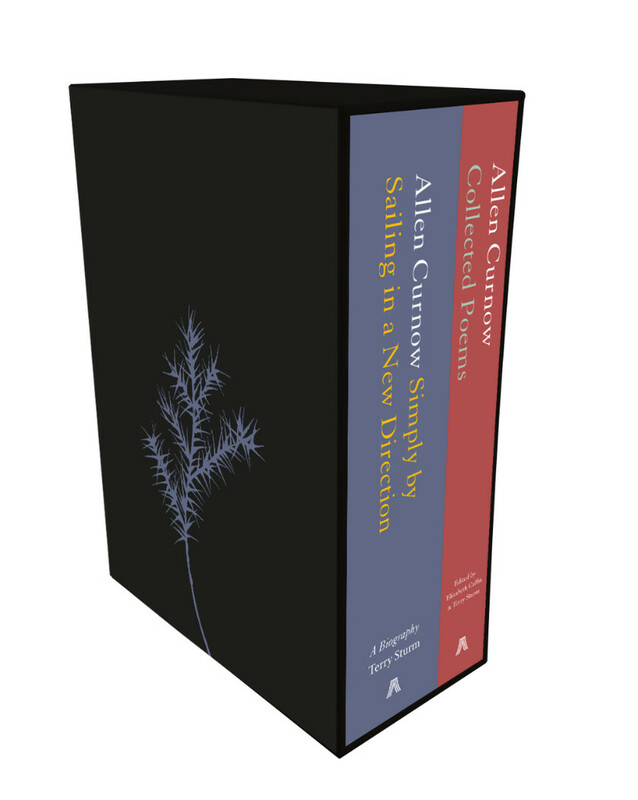 Allen Curnow: Simply by Sailing in a New Direction, a Biography, weighs in at over 700 pp., and deals with the poet’s life in great detail, including numerous photographic plates in black-and-white and colour. Sturm had spent seven years researching and writing the biography, commencing soon after Curnow’s passing, with the consent of his widow and second wife Jennifer, and with full access to his archives. Sturm was particularly well equipped to handle the task, having studied Curnow’s work while an undergraduate at the University of Auckland, then, as a lecturer at the University of Sydney in 1973, began corresponding with Curnow while researching a book on his work. Sturm himself passed away in 2009 but had left a full first draft of 460,000 words. The task of editing, sourcing and checking the bibliographic notes, checking and securing copyrights, and selecting and captioning photographs fell to Cassells, with the pathway having been agreed with the biographer before his death. The biography is exhaustive and the proofreading is at the very highest level: this was a labour of love by a very large team that saw it to publication in September 2017.